Moran is a native Houstonian, where she met and married Michael (Mickey) Moran in 1974. She, Mickey and their six-week-old baby moved to Cane River after the passing of Mickey’s father in 1982. Dianne said she quickly felt welcomed by the Cane River community and embraced life on the river. Here, they raised their two sons, Michael and Matthew. In the late 80s, Mickey opened a “Mom and Pop” store on the river, Mickey’s Place. It was a family enterprise including the boys, with Moran making and selling her featured meat pies. She credits mother-in-law, Carrie Moran and Aunt Fatty (Catherine LaCour) for sharing their secret meat pie making tips. Born and raised a Catholic, faith and St. Augustine Parish family are very much a part of the appeal and her love of Cane River. From the beginning, she has been involved in parish activities. Like many parents with young children attending CCD, the Morans were active in helping, especially during summer bible school. In the late 80s, Dianne and Mickey operated the parish’s monthly food pantry, which at that time served about 12 family recipients. Additionally, she has promoted church events through published public service announcements and articles. She is a member of the parish council and served previously in years 1995-97. She has been a member of the Confraternity of Christian Mothers since 1983 and serves as secretary (2017-19). In previous terms she served as secretary (2009-10 and 2015-16). Additionally, she is a member of the Providence Mission at St. Augustine, serving the less fortunate. 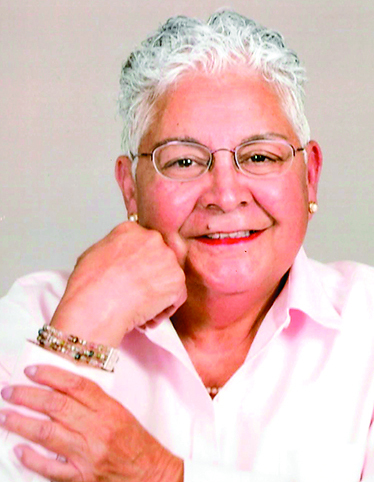 On the Radio Maria prayer team, she shared morning prayers on broadcast radio once a month on first Thursday of every month at 7 a.m. to 7:45 a.m. Moran became a member of the St. Augustine Historical Society (SAHS) in 1998. In the revitalization of SAHS in 2013, she was selected to serve as a Board Director, filling the vacancy left by her husband who died in 2006. “She has been an excellent director on the board. Her knowledge, writing expertise and public relations skills earned her the title of ‘Press Secretary,” said SAHS President Dr. Mark Guidry. “Our consolation is in knowing that Dianne will still be there for us when needed. She is well loved and most appreciated.” In 2005, Moran applied to the National Park Service to fill a part-time, two-year term at the Cane River National Historical Park. During her term, she served as a park interpreter and volunteer coordinator. She went to work for the Natchitoches Parish Police Jury’s Office of Community Services in 1991. During her work career, she was a secretary for the Retired and Senior Volunteer Program (RSVP), became director of RSVP and later program director for Senior Companions (SCP). The awarding of Senior Companions Program was a result of Dianne’s writing and submitting a grant proposal. The premise of this program is to match healthy and able seniors to other seniors who can benefit from companionship and light home assistance in order to stay in their own homes. The return benefit for those healthy seniors is a small bi-monthly, tax-free stipend and staying healthy by staying active. As a result, Natchitoches Parish was awarded a $250,000 grant for the Senior Companions, and today the senior population of the parish continues to benefit from the Program. Moran has always enjoyed working with the senior population and learning from their shared experience and wisdom. Though retired, she continues part-time work as a receptionist at Natchitoches Regional Medical Center, where she recently completed five years as an associate.